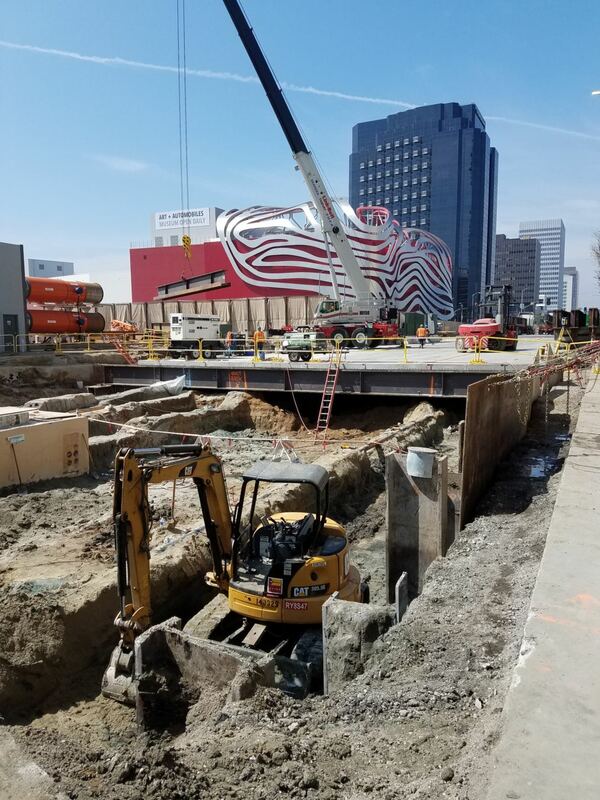 Group Delta provided consulting services on both the design and construction for this nine-mile extension of the existing Metro Purple Line Wilshire/Western Station to the West Los Angeles/Veterans Affairs (VA) Hospital site. 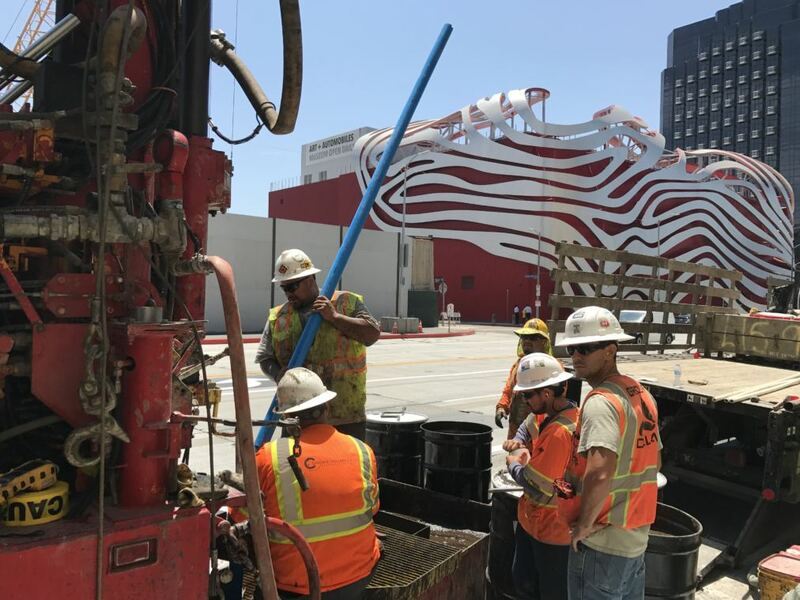 The extension will encourage new movement habits throughout the city, enabling commuters to travel entirely below ground between downtown Los Angeles and Westwood in just 25 minutes. 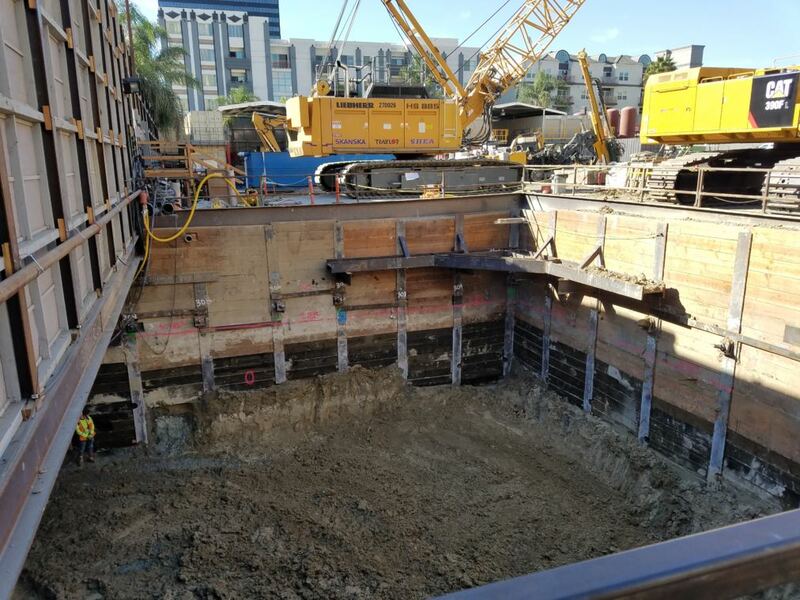 With an active and rapidly growing city above, the performance of shoring and dewatering necessary for this project had to be done with careful precision. The Group Delta team needed to remain thorough and consistent, detecting potential problems early on that could arise either during or after construction of this new line with 7 new underground stations. Additionally, Group Delta provided specialized geotechnical instrumentation and monitoring for the 3.9-mile section and 3 stations, along with instrumentation that includes in-place inclinometers, crack gauges, observation wells, and multi-point borehole extensometer with vibrating wire piezometer. Additionally, Group Delta utilized a web-based data management system and data loggers to monitor the site.